Turkey, turkey, turkey! Here it is, my mother’s amazing turkey dinner recipe, straight from the source [with my notes added in brackets]. Make sure that you freeze the loaf of bread ahead of time so that it is easy to cut into cubes without it getting squishy. Put some olive oil and butter in a large saute pan. If your italian sausage is in casing, remove and crumble into pan as many to taste, say 5 or 6 for a full loaf of bread [I use 4 or 5 of the big Costco sausages, about 600-700g]. Add onions and brown along with sausage. In the meantime finely chop one or two celery stalks, loads of garlic, and as many mushrooms as you like [I use lots, you can’t have too many!]. When the sausage is browned, turn down heat and add the celery, garlic, mushrooms, some more olive oil and too much butter for anyones good. I use lots of butter as it gives a nice flavour [It’s turkey dinner, leave your food-conscience at the door!]. Add quite a lot of sage – again to taste – bearing in mind it will diffuse through the bread so if it seems too strong, it probably wont be. I’d say about 2 tablespoons at least, maybe more. Add about the same, or a little less in poultry seasoning. Grind in some pepper, but don’t use too much salt as the butter is salty. Also at this time add water to the pan, enough to make it all quite moist but not soupy. If you haven’t ever seen It’s a Wonderful Life, or even if you have seen it, but don’t remember it well, do yourself a favour and go watch it. It is one of those somewhat rare classic films which still holds up amazingly well today. More than that, it isn’t at all the sappy, corny movie that most people assume it is or mis-remember it as. Far from the cinematic snow-globe that most people mis-categorize it as, It’s a Wonderful Life is surprisingly dark, very witty, and truly entertaining. 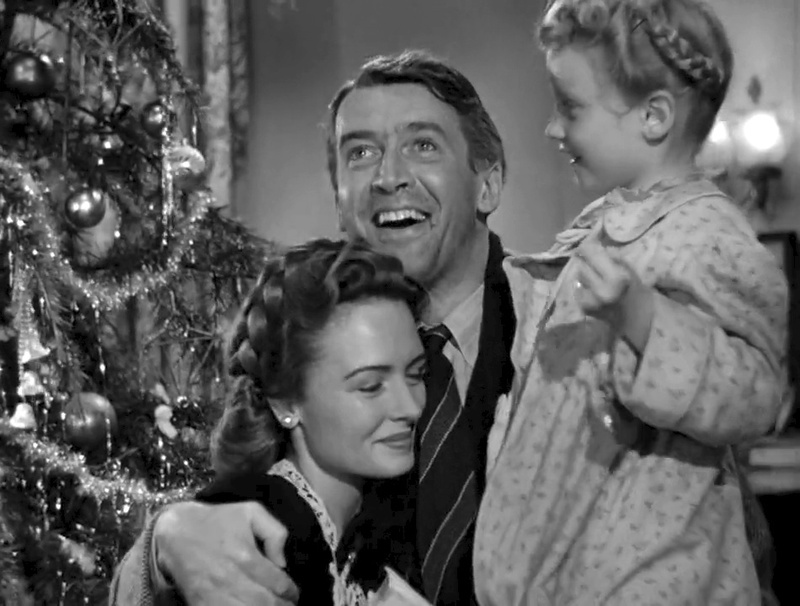 Whether they’ve seen it or not, most know it for Jimmy Stewart as George Bailey running through Bedford Falls, yelling “Merry Christmas!”; and of course for the sacharine-sweet Zuzu proclaiming “Teacher says, every time a bell rings, an angel gets his wings!”; all culminating with the tearful reprise of Auld Lang Syne. Those are the images that everybody –everybody who doesn’t remember the film well– recalls immediately upon hearing its name. And I’d agree, if those scenes were indicative of the overall tone of the movie, it would indeed be a sappy mess, hardly worth watching, save for when you desperately need a simple and sweet bit of holiday fluff. But that is not the feel of the movie! Far from the cinematic snow-globe that most mis-categorize it as, It’s a Wonderful Life is surprisingly dark, very witty, and truly entertaining. The film is thoroughly rewarding even to more refined modern-day audiences. And while it has been elevated to Christmas canon, very little of it actually occurs around Christmastime, and it certainly isn’t your standard holiday fare. The first two hours of the film are a long, dark study in the psychological torture of George Bailey. The reason for the dissonance between the perception and the reality of the film is obvious; for decades television network and advertising executives have slavishly adhered to the Law of Classic Films, the law mandating that all, and only, the most clichéd moments of classic films must be repeated, ad nauseum, in every advertisement or reference to said films. What makes It’s a Wonderful Life such a surprise to the first-time viewer is that, while its runtime is a hearty 130 minutes, all of those oft-remembered, oft-rehashed, and awfully sweet moments occur in the final 7 minutes of the film. While the final few minutes are indeed a super-concentrated distillation of the essence of Christmas, they serve as a well-balanced counterpoint, a satisfying glaze, too sweet on its own, but just perfect as the topper to the body of the film. 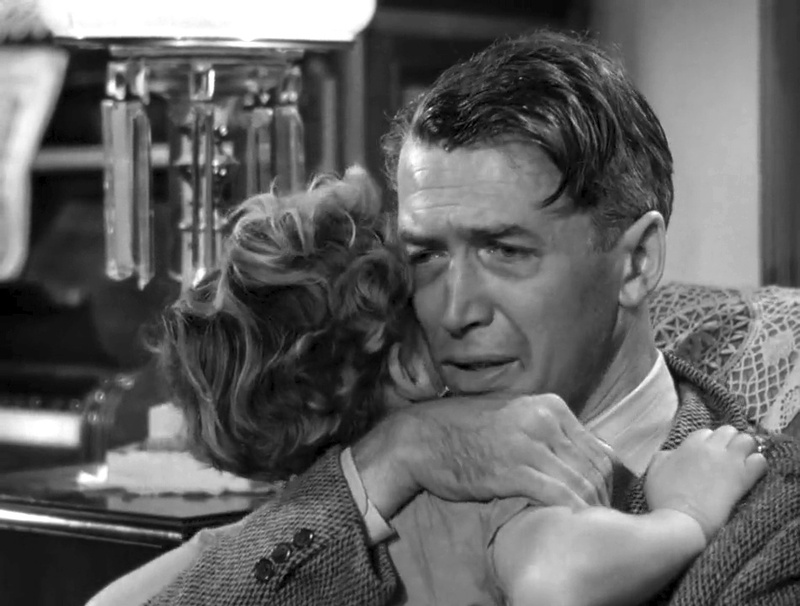 These clichéd, over-sweet moments work so beautifully well, because the first two hours of the film are a long, dark study in the psychological torture of George Bailey. Many photographers struggle with the decision whether or not to add a watermark to their photos, balancing the elegance of a photograph against a desire for accreditation, sometimes even compensation, for their creative works, works that are so frequently stolen shared without permission by the online community. 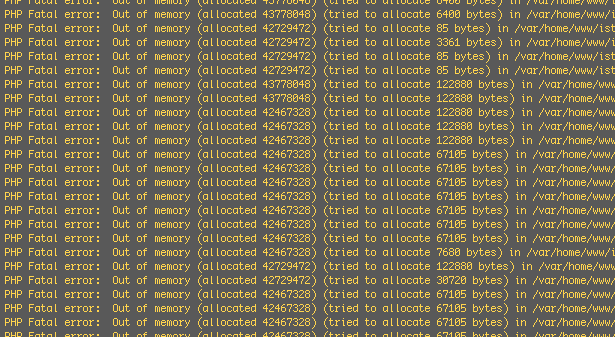 For my own purposes, I choose not to watermark the photographs that I post on Flickr, Facebook, or other sources. Through these media, I choose to share my work freely, opting out of any sort of inbuilt accreditation. However, on this site, where my images are more likely to be found out of context, I choose to add a subtle indication of their source. I find the watermark above to be readable and yet still subtle on practically any image, working well, without alteration, on solid and mixed-colour backgrounds, remaining legible overtop all but the most intricate detail. Feel free to drag that image about your window or download it and experiment with it yourself. I’ll describe exactly how to create it after the philosophizing below. Some photographers, feeling the need to protect their work so jealously, create a visual paywall behind which the quality of the photograph is merely alluded to, a barrier so severe as to move beyond a watermark, instead becoming a photographic moat surrounding and isolating their artistic treasures. However, with the ability to remove these marks seemingly outpacing even the wildest imaginations of would-be counterfeiters, such attempts to secure photos via watermarking are usually futile, often resulting in the mutilation of the image by the artist, the destruction of any value worth protecting, the end result no longer a watermarked photo, instead merely an advertisement for the photo itself.